Truck Covers USA introduces the new 2009 American X-Box. With new innovative features & products, Truck Covers USA sets itself apart from the competition. LINE-X® Protective Coatings adds the protection of LINE-X® XTRA, a spray-on urethane coating fortified with DuPont™ KEVLAR® to this American Work Cover version. The LINE-X permanently bonds to the top-of-the-line tool box inside and out, providing a weathertight seal to protect against extreme heat, cold, moisture, abrasion and rust. The increased tensile strength rating makes the American X-Box resistant to scratches, gouges and punctures. The American X-Box enhances the look of any work truck with convenience and ease of use, while providing protection and security like no other. A tool box and truck cover that really works! 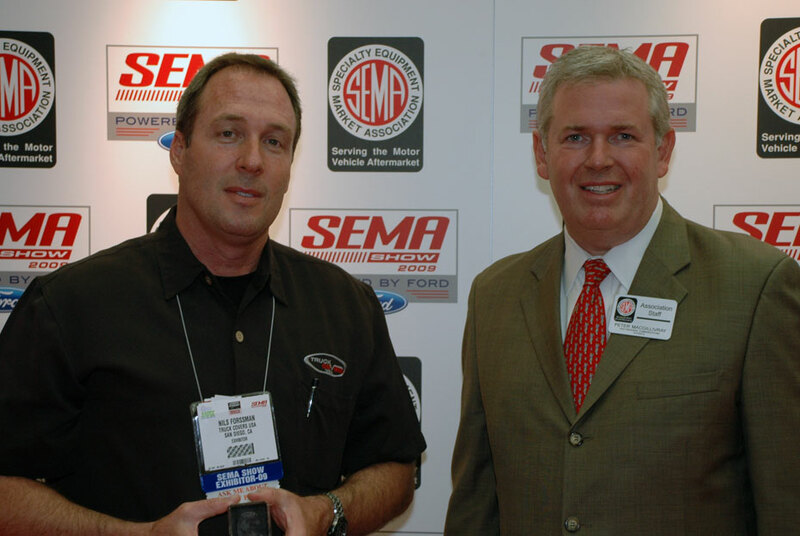 A 2009 SEMA Award Winner. Truck Covers USA – Toll Free #888-808-2872.